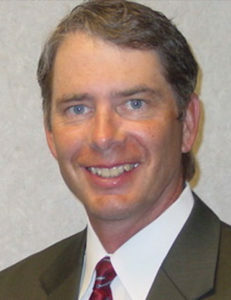 Michael Watson, MD is a three-time Board-Certified Orthopedic Surgeon, by the American Academy of Orthopedic Surgeons. As a general orthopedic surgeon he has extensive experience in Joint Replacement Surgery of the Knee, Hip, and Shoulder. He also has experience in Hand Surgery and surgery of the upper extremities. He has published research in the areas of Joint Replacements, Hand Surgery, and Sports Medicine and has presented research internationally. Dr. Watson is a native of Illinois and graduated first in his class at LaMoille High School, where he earned All-State honors in basketball. He also graduated first in his class at Illinois Wesleyan University, where he was twice honored as an Academic All-American football player. He is a graduate of Southern Illinois University School of Medicine and went on to complete his orthopedic surgery residency at The Ochsner Clinic in New Orleans which included additional training at the Shriners Hospital for Crippled Children. He has 26 years of private practice experience in Illinois. Dr. Watson retired from the US Army Reserves as a Captain after 10 years of service. During this time, he was activated during Desert Storm. Dr. Watson is an avid sports fan and has competed in 15 marathons and half marathons, which is why he enjoys taking care of athletes of all ages, shapes, and sizes. Dr. Watson looks forward to the opportunity to serve you. Find out what Dr. Watson’s patients are saying about his quality orthopedic and sports medicine care. Learn more about your orthopedic condition or treatment in our education library. Our providers are the head team physicians for the following sports teams and schools.